CUPE 3906 is pleased to announce their 2015 Annual TA/RA awards. Students, employment supervisors or other TAs are encouraged to nominate Teaching or Research Assistants for the award. There will be a total six awards given, one for each faculty. The nomination form is available HERE and/or at your departmental office. 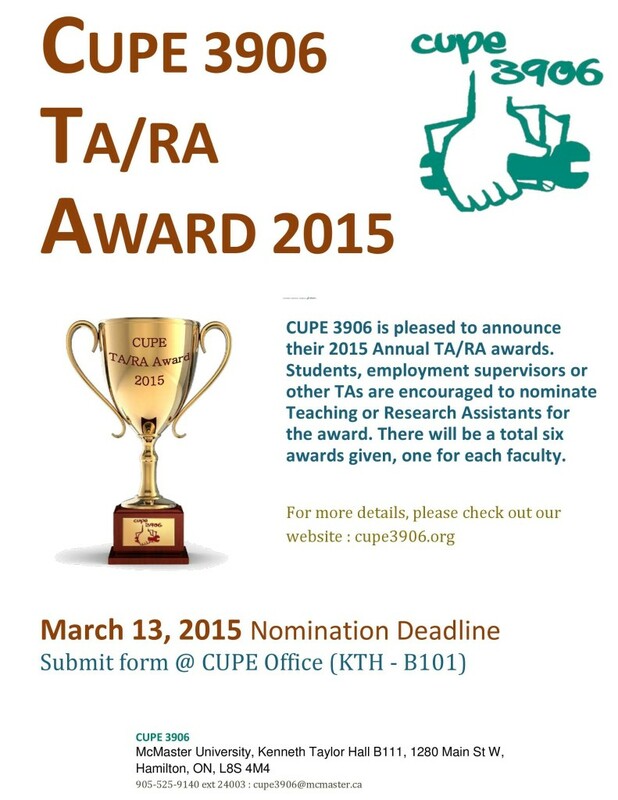 Please submit nomination forms to the CUPE 3906 office (Kenneth Taylor Hall B111) by March 13, 2015. The awards will be given out at the end of the CUPE 3906 Annual General Membership Meeting on March 30, 2015.